We have reached a tipping point for storytelling and marketing. 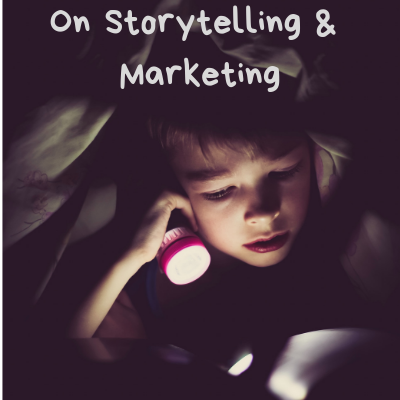 Storytelling and marketing is no longer about a commercial we recognize. We all can see in a TV commercial the story of which beer is better tasting. Which beer has fewer calories. Which beer will give us the perfect friends at the bonfire on the beach. Just like the story in the commercial. That story is told to us for marketing purposes. We knew that one long ago. And we were fine with that. Those were the storytelling tricks of people marketing to us watching sports events, sitcoms, or late night talk shows. We got to watch those in our homes for free, in exchange for sitting through their marketing stories. Then came the internet. Then came Google. Then came and went MySpace. Then came Facebook. 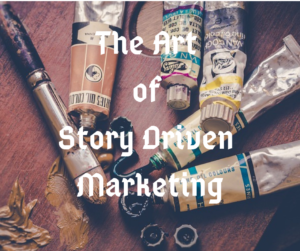 Then came the combination of storytelling and marketing in a form we no longer can detect. Every story is now really just marketing content. Instagram Stories even says it in the name. Billions of users upload their stories, pics, thoughts, birthday wishes, songs, manifestos. All are marketing content. All created by users who think they are just sharing with friends, family and co-workers. In reality social media has used them, used all of us, as unpaid content creators. Our stories are there to keep people engaged for hours on the site. Sites made for the sole purpose of selling advertising. Billions of people are involved in storytelling and marketing everyday. They just don’t know it. So if you are going to break through with a message online today, you must understand the purpose. The purpose is not to interrupt, like commercials did in the past. The purpose is to keep people on the site you post on. Everything is now about engagement. Your value to any social media platform is to keep more users spending more time on these sites. There is no more distinction between storytelling OR marketing. It is now about storytelling AND marketing. 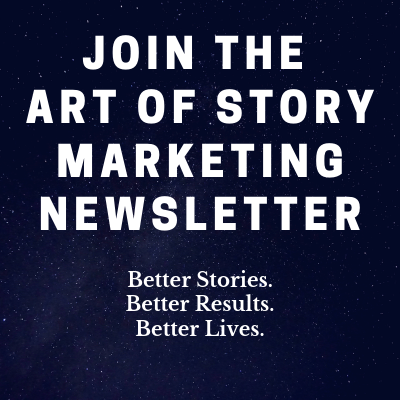 If you are going to come online with your marketing message it must be based in stories. Here are some things you should consider. At one time in my life, I wanted to be a newspaper writer. Yes, I am old enough to remember when people subscribed to newspapers. I was a very dedicated reader of newspapers. So, when I had a chance to join my high school newspaper as a writer, I jumped right in. We were told about getting the story right. That meant getting our facts straight. We had to have sources, citations, and proof. Each story submitted was looked over by an editor. Few stories got printed before going through a rigorous exam from the man behind the desk, Mr Copus. Red ink flowed from Mr Copus’ pen over our first drafts. It was journalism at its finest. Its finest right next to the loading dock for the lunch truck deliveries. The role of facts and citations has left much of our culture these days. Cable news has changed how we value the need for facts. Instead, people are looking to be told stories, true or not, as long as they match their already held worldview. You can find these types of ‘reporters’ oth liberal and conservative. People are choosing to watch, to give attention, to those who give the best stories, not the best facts. If you are coming to your market armed with facts, you will always lose. Lose to the storytelling marketer. Those stories rarely give a nod to Mr Copus and his red pen. 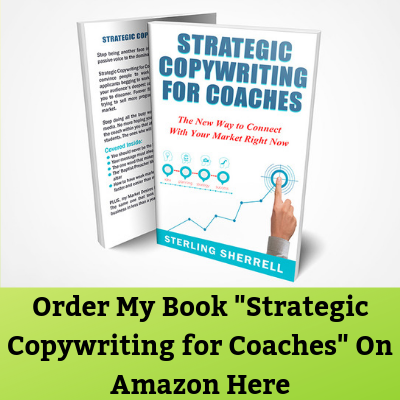 It used to be that copywriters were tasked with telling the story of their clients to the mass market. Billions of dollars spent each year went to telling the story of how a product or service was better. How a toothpaste’s ingredients were more effective than the rest. Why a car had better aerodynamics than the other guys. What you should use to scrub your toilet clean. The products were the stars in these stories. By using these products, people could align themselves with these winners. Thus, by almost osmosis, consumers, the right consumers, would be winners too. This method no longer holds true. Anyone with a camera phone can be the star now. With a simple tap of a screen anyone can be seen online for everyone to see. Our birthday party is now just as important as the one in a movie. Our dog as cute as the one selling dog food. Our rant as important as the one in the magazine. People are more concerned about their own story. If you are going to break in their world it must either look like theirs or make the story they believe better. The switch in marketing is that we have to come to the market stories, instead of the market to ours. People give your marketing value based on aligning with their own. If you are stuck in traffic, look to your left and right. I bet you see the driver in the other cars looking down at their phones. People are looking for something to distract them. Distract them from that traffic. But also distract them from a life of the mundane. People love to read stories of life better than theirs. Better than being stuck in traffic. Better than sitting at that cubicle. Better than eating dinner with their own family. If you are going to get people to change what they do daily, show them how your product or service can bring a positive change. One that their friend will comment, like, and share about. 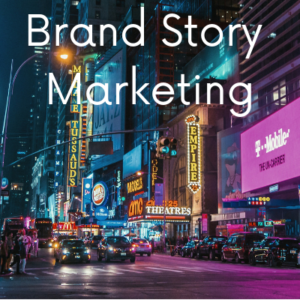 Let them see an example of what it could look like through your brand’s story. People love to share in those examples. Recently, I read an article about a 19-year-old kid who made $35,000 in just four days plowing snow in Seattle. Being that I now live in Minnesota, plowing and shoveling is common here. Not so in Seattle, where they had an unusually huge snow storm. That story got shared around my area of Minneapolis. Everyone with a snowblower in Minnesota could go to Seattle the next time and do the same. Imagine, something we do everyday and hate could be turned into a potentially lucrative business. That is a call to adventure. That is the essence of great storytelling. And as we have seen, today storytelling and marketing are the same thing. We really have no choice anymore. We must adapt to the new reality that all marketing is storytelling and all storytelling is marketing. If we come and try to show charts, graphs, or base facts, we will be ignored. Ignored for the ones with the better pictures, the better meme, the better story. That means the story that resonates with your market already. One that they can see themselves in now. Our job is to take them from their current story to the story they want to be in. It must be consistent with the one they are already telling themselves though. Our marketing will be disregarded if it does not do this. 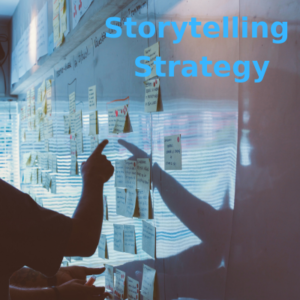 The only option if you want to be better at marketing is to be better at storytelling.